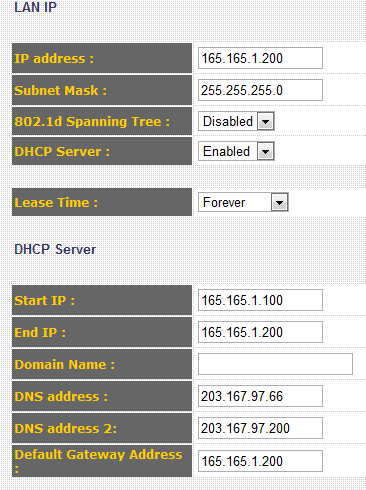 I copy all the configurations from my old router to my new router manually. I configure my new router connected to my computer using a cable wire. 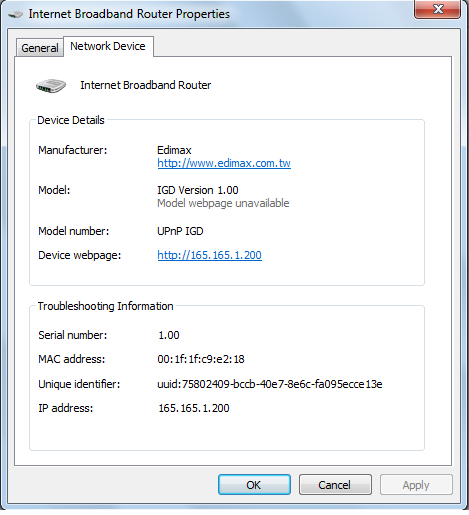 I do access my new router using a computer connected through LAN, but there's no internet connection. 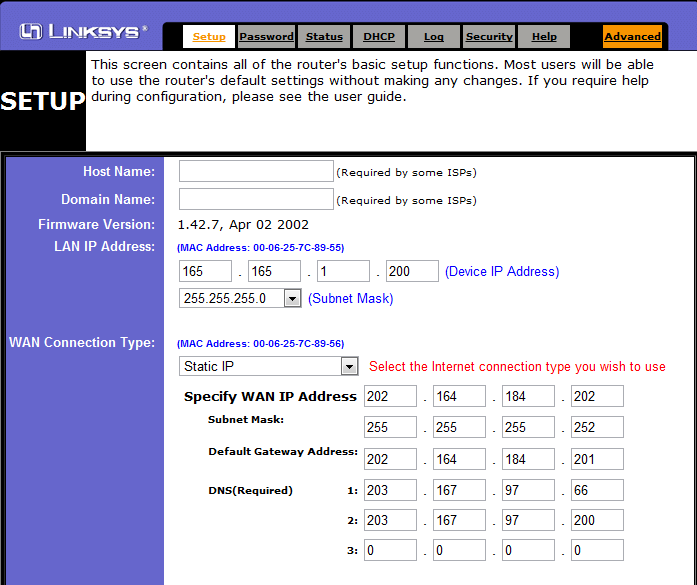 I tried to Obtain IP and DNS address automatically. Still no luck. Please help me! I need to have internet connection via LAN then I will proceed configuring Wi-Fi.. Here's is the link of my printscreen and configurations. Do i have to configure also the Wireless settings to have internet connection even I am connected through wire/cable? Thanks for the help in advance! 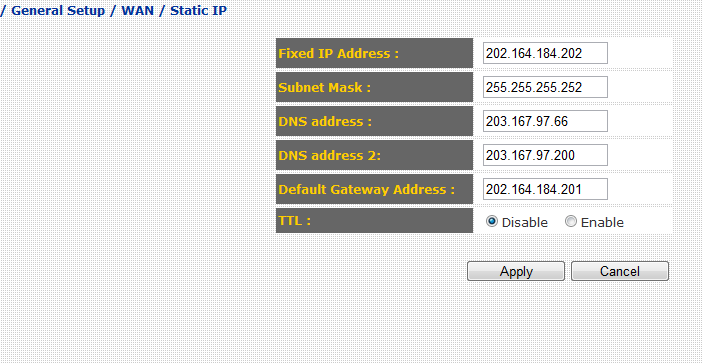 I hope there's a genius angel with shining glassed can help me..
       I P v 6   A d d r e s s .   .   .   .   .   .   .   . Sorry for my english.. :( Hope you understand my concern. 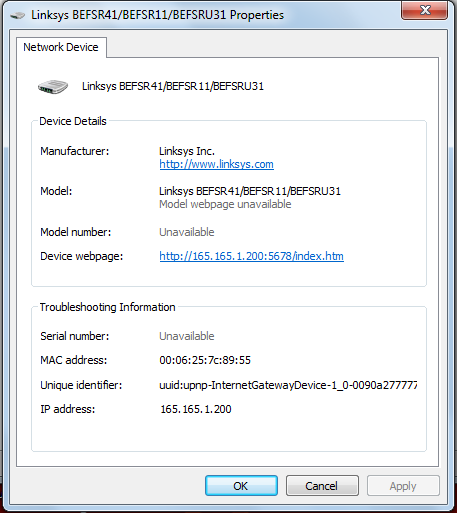 Yes you need to configure the wirelss settings on the new router. Check the IP address too. O yes!! I got it.. I restart my modem and the new router together and booom, it works fine..
Also I am now working for the security of my wi-fi so that I can limit the users who can access it.. (evil laugh)..